Traveling is amazing – for so many reasons. And the world is full of wonderful places worthy to be discovered. But what to choose? Where to go first? 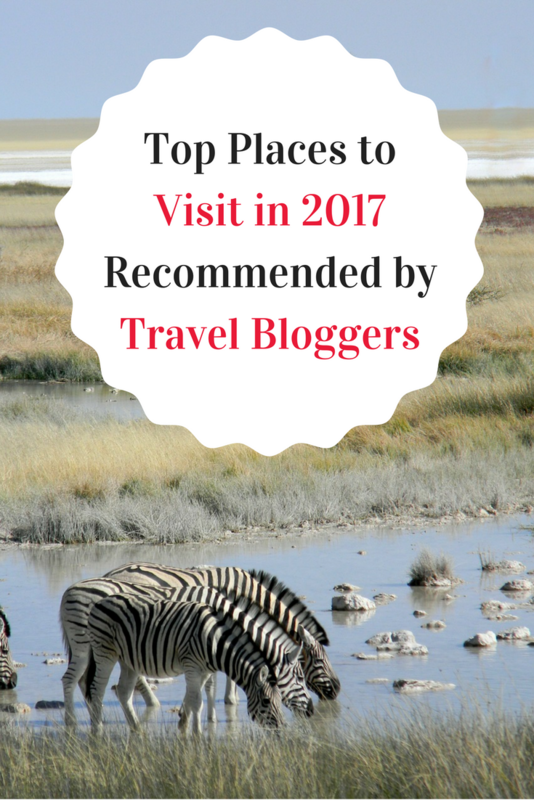 I decided to ask the experts, so today I’m presenting the first part of Top destinations to visit in 2017 recommended by travel bloggers. When I shared my idea with fellow travel bloggers I received many submissions – and I want to thank everyone for their time to send me a photo and a few words on a place or country they recommend. As I want all submission to benefit from a high visibility, I decided to split them into two different articles. 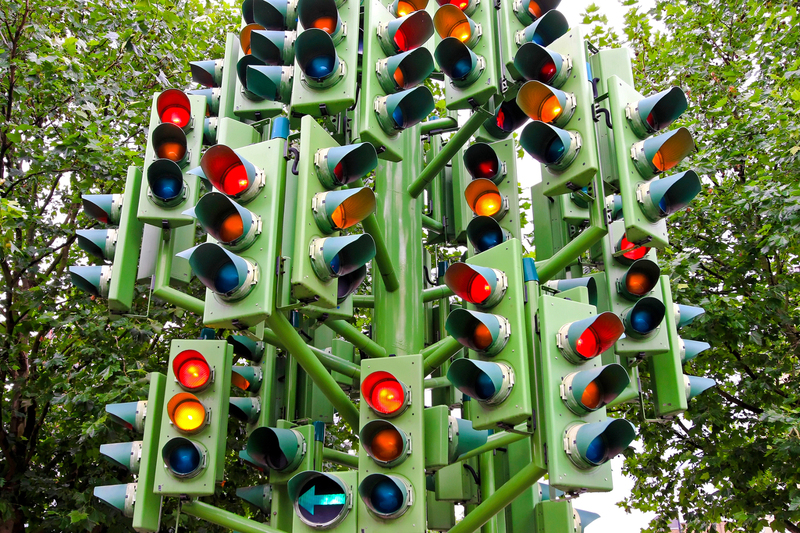 One article with 30 or more recommendations, and photos, isn’t as easy to read as two with only 15. So today I’m presenting you the first 15 mesmerizing places to discover in 2017. 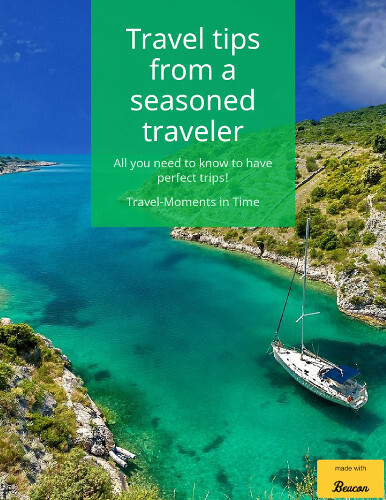 No matter what type of trips you are planning for 2017, this article (and the following one) offers numerous ideas – from across the globe. From Canada to Namibia, Germany or South Korea – and beyond – they are all included. And keep in mind that each of these places come with recommendations from people who’ve seen the world :). Ottawa: The celebration in Ottawa starts at New Years eve, when they will light a cauldron at the City Hall, and culminate on July 1st – Canada Day, with street parties and free concerts. Actually all main cities in the country are planning their biggest Canada Day ever. 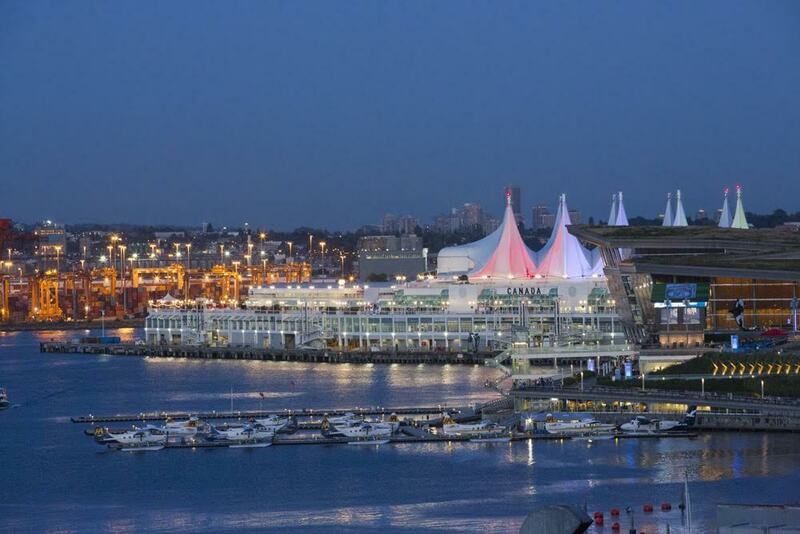 Vancouver: Vancouver normally hosts the biggest Canada Day celebration outside Ottawa, and for next year they are planning a massive party with a 11-day First Nations’ festival. In 2015 I was in Vancouver for Canada Day and it was amazing! A lot of activities at Canada Place throughout the day, including a festival, parade and fireworks. The entire Harbour area gets jam packed with people and the waiting time at the restaurants can easily reach over 90 minutes. Everybody gets dressed in red, and it’s a beautiful and memorable celebration, very nice to witness as a foreigner. Also, that time of the year is great for whale watching. I was on a whale watching tour and our guide said we were the luckiest group of the season so far, as we were able to see several pods. Banff and Lake Louise: As part of the Sesquicentennial, all national parks and heritage sites in Canada will have free entrance for all of 2017. I’ve been to several Canadian parks and they are absolutely gorgeous, but my favorite is by far the Banff National Park in Alberta, where Lake Louise is located. During summer this lake has the most amazing color you will ever see in your life, and during winter it gets totally frozen, beautiful in such a unique way. I’ve been there in both seasons and would never miss a chance to go back. In fact, that’s where I spent my honeymoon. Also, Banff is a charming small town where you can get lost in the various shops, restaurants and luxury lodges. Certainly an amazing experience. Follow her on Facebook and Twitter as well. El Nido is an unspoiled paradise situated at the northern peak of Palawan Island in the Philippines. It’s home to crystal clear waters, gorgeous rock formations and pristine beaches. Every direction you look is beyond beautiful. This little coastal town is surrounded by limestone cliffs and sandy beaches. The diving is superb, and the reefs are only a short distance from the coast. It’s the type of place where you can kayak for 20 minutes and end up being the only person on an island that looks like it came straight from a travel magazine. 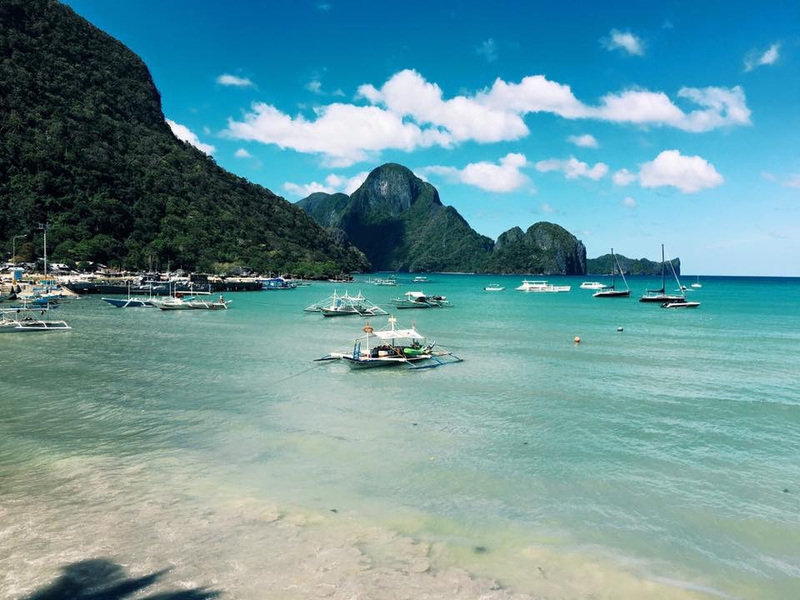 Getting to El Nido is a bit of a trek, but that’s part of the reason it’s still so untouched. Because of this, it’s the type of place you want to cross off your bucket list now, before it becomes too much of a tourist haven and starts to lose some of the unspoiled magic that makes it so special! The Gippsland region of Victoria Australia stretches from the far outer edges of Melbourne’s eastern suburbs to the New South Wales Border. Gippsland is broken up into four regions East Gippsland, West Gippsland, South Gippsland and Latrobe Valley. Gippsland has many tourist attractions for families, outdoor enthusiast, couples, slow travelers and backpackers. The extensive region of Gippsland is characterised by its diversity of landscapes and features. 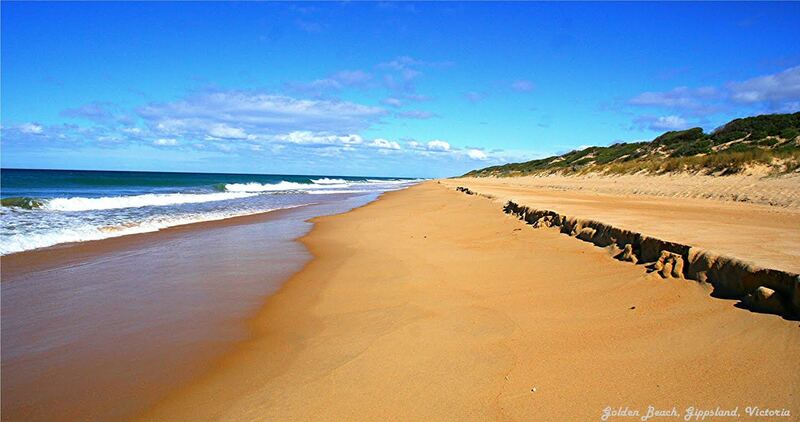 Gippsland is blessed with kilometres of untouched pristine coastline, wilderness regions, rivers, mountains, snowfields and the Gippsland lakes system. Gippsland is now also fast becoming known for its fresh foods and award winning wines. Follow them on Facebook and Twitter as well. 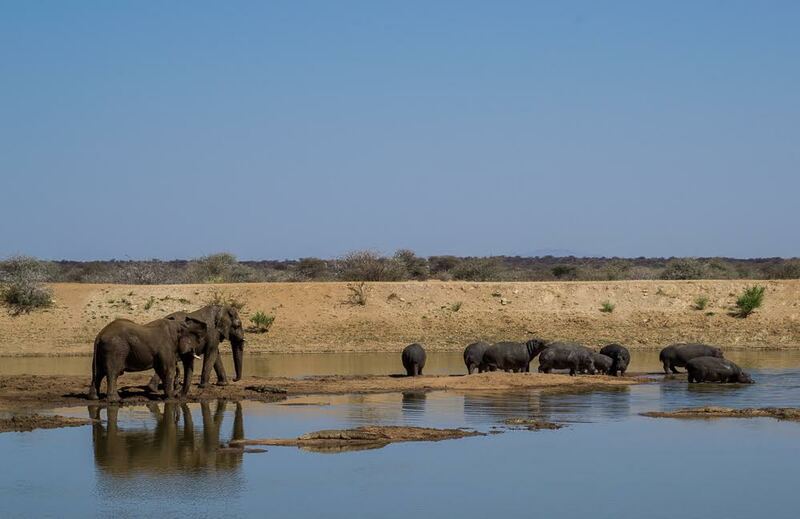 The southern African country of Namibia has been gaining admiration over the years but is still remains one of the worlds lesser explored gems. A country few consider when planning a trip to Africa, yet this gem has just as much to offer as its more popular neighbours and is one of the safest places in Africa to travel through. Namibia has everything from luxury lodging to camping under the stars, wild to haunting coastlines, desert dunes to luscious landscapes, bush to water safaris, as well as the second largest canyon in the world, uninhabitable flat plains, arid backdrops, a complex history, diverse cultures and tribes, and an abundance of wildlife – there are unique experiences to excite any traveller. 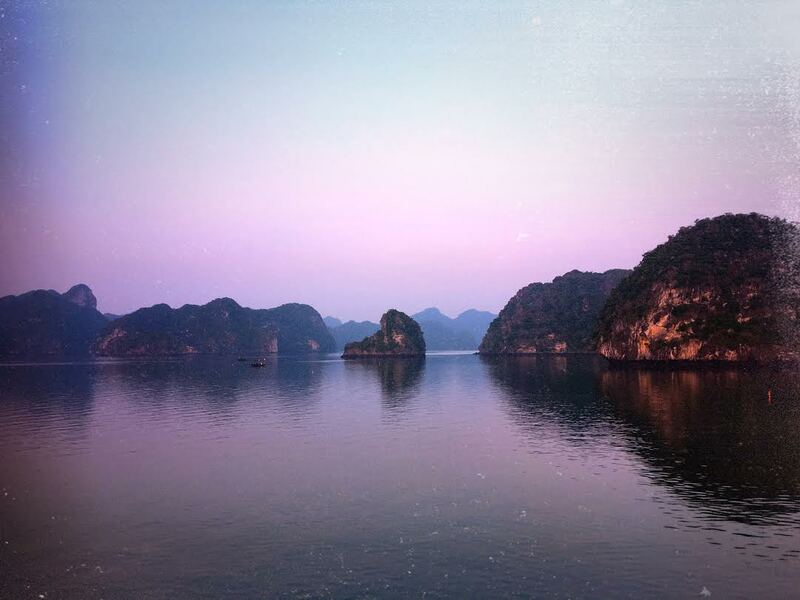 Halong Bay is one of the most famous bays in the world and is the perfect family destination in Vietnam. A very affordable way to explore the wonders of this UNESCO world heritage site, and the perfect place to see some of the most stunning sunsets and sunrises that will appear from behind the limestone islands. As a single parent traveling family, we enjoyed a month in Vietnam, but a highlight for us was an overnight cruise on a traditional wooden junk boat. I remember watching my 11-year-old son as he enjoyed the evening sunset listening to his favourite jazz music. I realised how much he was growing up and it was a moment in time I will never forget. We believe traveling is one of the best educations in the world. Often over looked as a travel destination, Seoul has some pretty unique experiences to be had, besides diving mouth first into the traditional cuisine. Trust me, there’s more to eat than kimchi and korean bbq. I urge you to go out on a limb and try things like Kimchi-jjigae (kimchi stew) which is served boiling in a hot stone bowl. For the more adventurous eaters I recommend live octopus, a meal that requires you to play with your food and do battle in your mouth. If you’re looking to let loose and have a good time, Hongdae has got the shopping and nightlife scene down. Located next to Hongik University, its narrow streets are lined with BBQ restaurants, beer pubs, and trendy clothing and accessory shops that lead to the hottest nightclubs. If you’re not the clubbing type, (which I’m not) and you prefer to experience the history and tradition of South Korea, you don’t have to go far. Temples, palaces and traditional folk villages are plentiful within this high tech bustling metropolis. 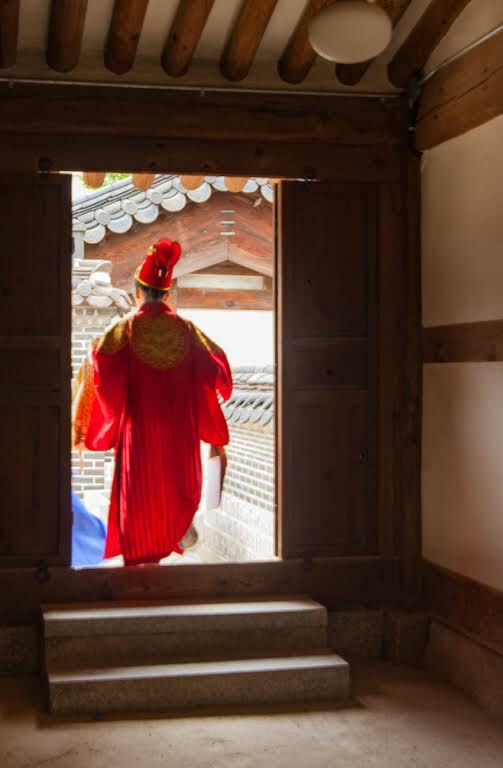 The temples and palaces are easy to locate since they draw many travelers, and some offer traditional activities like trying on a traditional Hanbok, and bell ringing ceremonies. The folk villages are a little more difficult to find, as they are tucked in between the large high rises, but they offer a very unique perspective of the city. Choose the correct alley and you’ll be transported back in time. As you weave through the corridors of Ikseon-dong or Usa-dong, the sounds of the busy city drift away. Today, these traditional houses have been converted into noodle shops, cafes, and traditional drinking houses. You can easily spend hours “getting lost” just off the main drag. South Korea is a very small country, and their bus system makes it extremely easy to take a day or weekend trip outside the city. Heyri Art Valley, a village built by artists, is only an hour away by bus, and is filled with more sculptures, interesting architecture, and art museums than you could see in a day. Less than 1 Km away from Heyri, sits Odu-san Unification Observatory, a fortess on a hill with a rare opportunity to peak into life across the North Korea border. No soldiers staring back at you, just the Han river separating you from a quiet farming town on the other side. The perspective from the Odu-san fortress is nothing less than life changing. The highlight of my adventures this summer was visiting Slovenia and I would not only recommend it as a must visit destination in 2017 but also note that it will slowly become more and more popular so now is your time to visit. 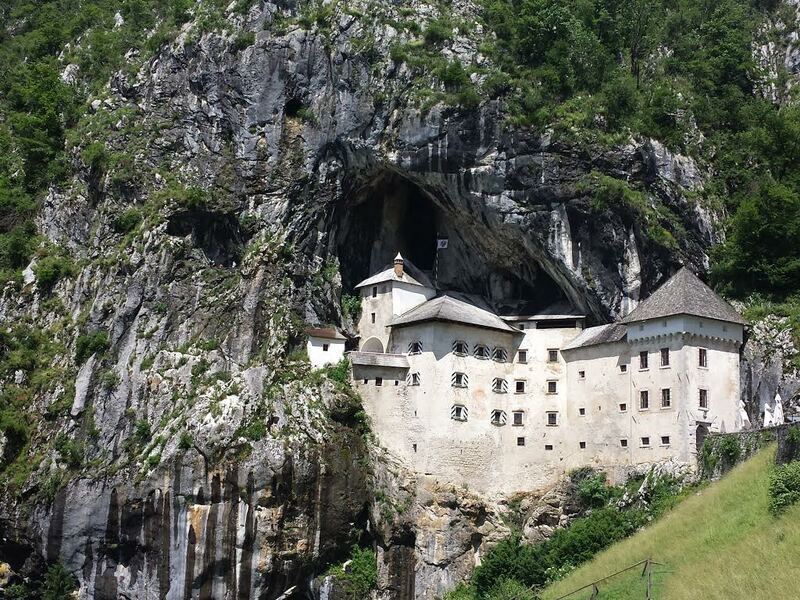 Slovenia is located in Central Europe and it combines the best of the Balkans and Western Europe. What impressed me the most were the small picturesque villages with houses that looked almost freshly painted. There were young people helping on the weekends and even living there developing the local business. We spent a fair share of our one week journey in the countryside and were fascinated with the beautiful nature. Everything was so green and the water was an amazing shade of emerald green. Small water springs running around high sharp cliffs – views that you can have all to yourself as some parts of the country don’t even have tourists. No wonder that glamping resorts and Eco-villages are booming in Slovenia with people wanting to reconnect with nature and help the local tourism at the same time. On the other side the capital Ljubljana is a vibrant city full of life. In the summer the cafes along the river are busy with both Slovenians and foreigners but it is not overcrowded. Quite the opposite – the people look relaxed and happy. They have festivals, open markets like the Open Kitchen we attended, a “City of Design” venue and even a hippie district called Metelkova which is an autonomous cultural center. With only about 45 km of coastline Slovenia might not be your first destination when it comes to seaside vacation but the small towns along the coast are beautiful and remind you a lot of the Italian narrow cobbled streets and colorful buildings. Speaking of Italy – Slovenia is a good starting point for an adventure both to Italy and Croatia. There’s no denying it, a trip to Alaska is on many bucket lists. However, Alaska often gets categorized as a place to go in one’s golden years. This should not be the case. Alaska is more easily explored while young, adventurous, and nimble. 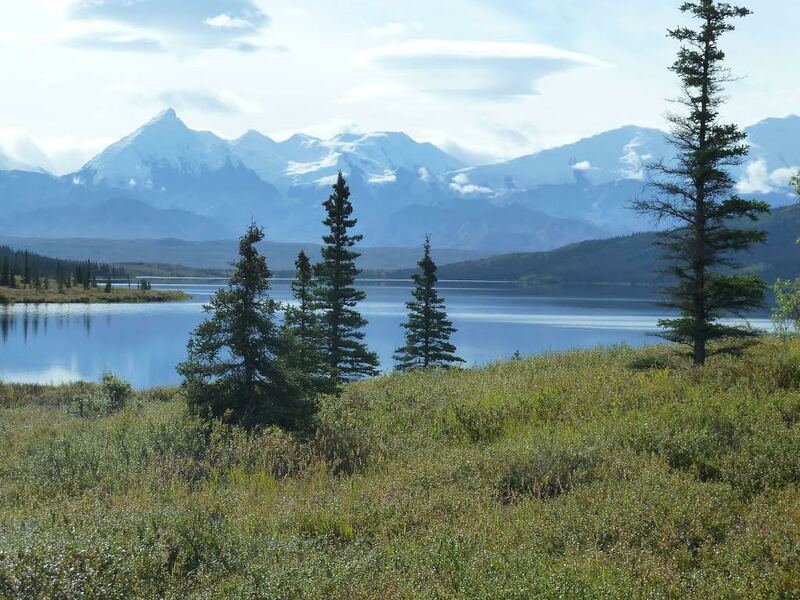 Hike in one of the many national parks, flightsee a remote area of the state, fish in the crystal clear rivers, or take a boat tour to marvel at a calving glacier before they all melt away. By land or by sea, there are plenty of opportunities to see amazing wildlife like bears, bald eagles, seals, whales or moose. Because virtually everywhere you look there is an animal, mountain, river, or glacier that’s picture-perfect, time is best spent outdoors admiring the abundant natural beauty. Don’t wait to visit to Alaska. Go now and discover a piece of America’s Last Frontier for yourself. Follow him on Facebook and Twitter as well. Without the shadow of a doubt, Siem Reap, in Cambodia, has to be included in the list of top destination for 2017. The tourist heart of Cambodia, Siem Reap is a fun, lively city which attracts an increasing number of travelers. The city itself is nothing special, although there are a few interesting sights: the night market should not be missed, there’s a bunch of good and inexpensive restaurants, lots of parties going on, and an excellent choice of accommodation for all budgets. Not far from Siem Reap, in Angkor Park, it is possible to have a great day filled with adrenaline, zip lining across the jungle. And some lucky ones may also be able to spot the gibbons that have recently been reintroduced in the area. 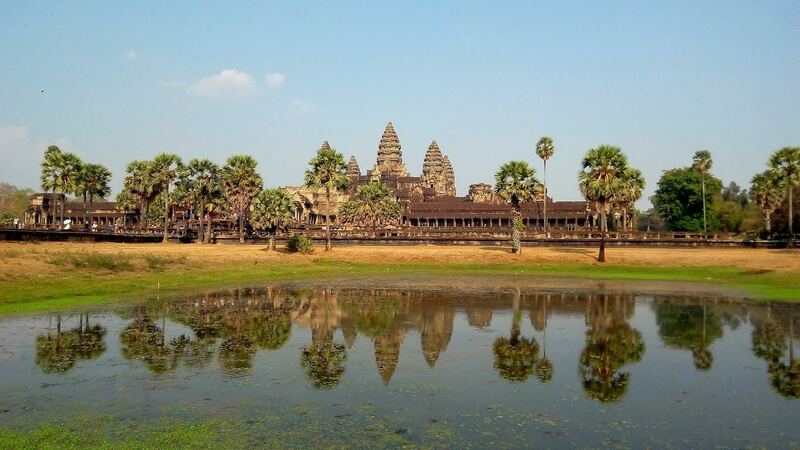 Yet, what makes Siem Reap simply unmissable is that it is the main access point to the complex of Angkor Wat, one of the most astonishing archeological sites in the world, so spread out that it requires several days of exploration. Spain’s Costa Blanca is set to be among the world’s top holiday destinations in 2017…the most popular stretch of coastline in the Mediterranean, the ‘white coast’ is a succession of golden sandy beaches and white pebble coves. A favourite with European travellers for decades, next year it’s predicted to exceed all expectations as people are looking for a safe, carefree holiday environment after the recent terrorist attacks in France, Turkey and Egypt. Some 3,000 hours of annual sunshine, mild winters, an extensive range of quality accommodation which goes from the most exclusive spa resorts, smart all-inclusive complexes, beachfront and rural hotels, holiday villas, rental apartments and camping sites, makes it an all-year-round choice for every budget. The clear calm turquoise sea is for great for swimming, diving, sailing and a host of other watersport activities, the scenic inland scenery of pine-clad mountains and valleys ideal for hikes, cycling or just a drive out. Hundreds of local festivals just add to a fun-packed agenda. Boring but necessary details include upmost safety measures regarding public and private transport (planes, ferries, coaches, car hire, etc.) and strict hygiene norms re the food handling process at all establishments. Where to go and what to see? Alicante City and Denia: visit the historic castles, sandy beaches, tree-lined boulevards, modern marinas, trendy restaurants, chill-out lounges and ‘tapas’ bars. Benidorm: international mega resort with the famous skyscraper skyline and sandy beaches, non-stop entertainment and theme parks, fun for all the family. 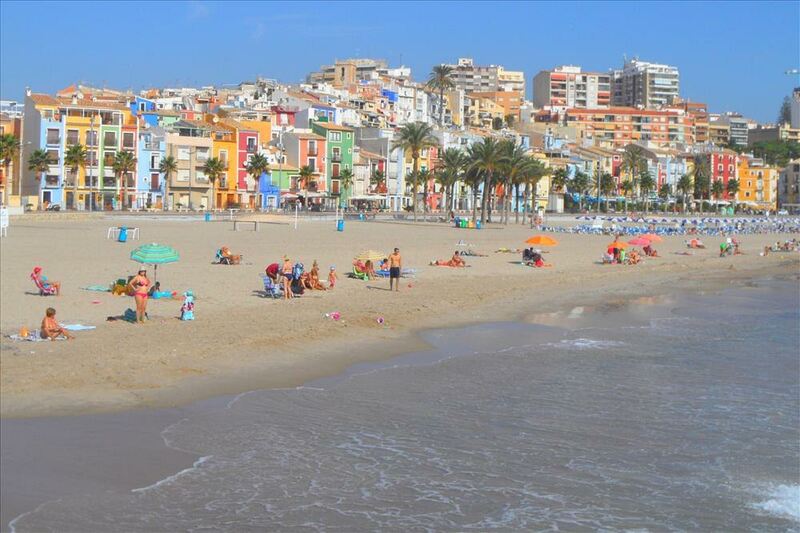 Calpe and Torrevieja: long seafront promenades and coastal walks, sandy beaches, protected nature parks including the beautiful salt lakes – home to pink flamingoes. Tabarca Island: protected marine environment with ancient walled village where time stands still. La Marina and Pilar de la Horadada: endless beaches backed by sand dunes. Jalón Valley and Vinalopó Valley: rural market towns surrounded by vineyards. Quaint inland villages such as Biar: peaceful, narrow winding streets with typical church and magnificent castle. Orihuela: majestic medieval city with a wealth of historic patrimony. Altea: possibly the most picturesque town in Spain, typical old town streets lined with white washed houses leading up to blue domed church overlooking the Med, gourmet restaurants, pretty plazas, pebble beaches, amazing firework display in the sea (August)… Villajoyosa: a little know gem that resembles the Caribbean, fine sandy beach with palm trees, fishing harbour and brightly painted village houses, awesome sea battle fiesta (July). Get off the tourist track, discover the real Costa Blanca, and live your dream! I’ve always wondered if paradise really existed and if so, where could I found it. For years I’ve been lingering at travel agencies magazine covers, day dreaming about a long haul travel somewhere in the Indian Ocean, lazying around in one of those overwater bungalows. 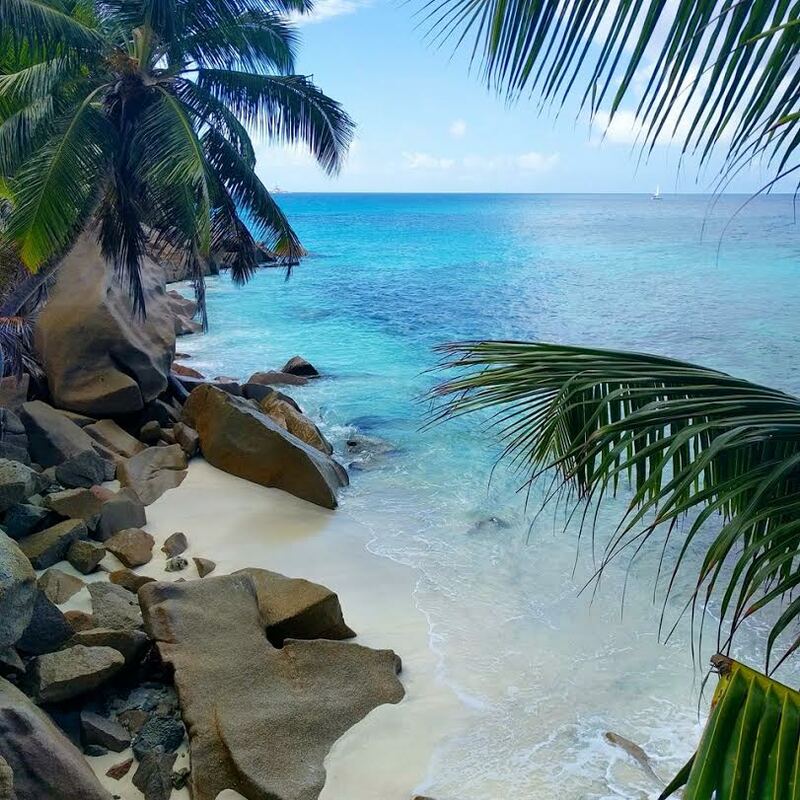 I’ve recently visited the Seychelles, including Mahé, Praslin and La Digue and for the duration of the holiday, I kept on asking my husband to pinch me as I couldn’t believe how beautiful these places really were. If you ever wanted to see crystal clear water, tropical forests and pristine white sands, then Seychelles should make it top on your bucket list. Algarve is Portugal’s southern most region. It is a must visit destination because of its rocky landscape juxtaposed with its golden beaches. In fact, Dona Ana beach is ranked one of the most beautiful beaches in the world. A weekend is not enough to enjoy all the landscape this region has to offer. 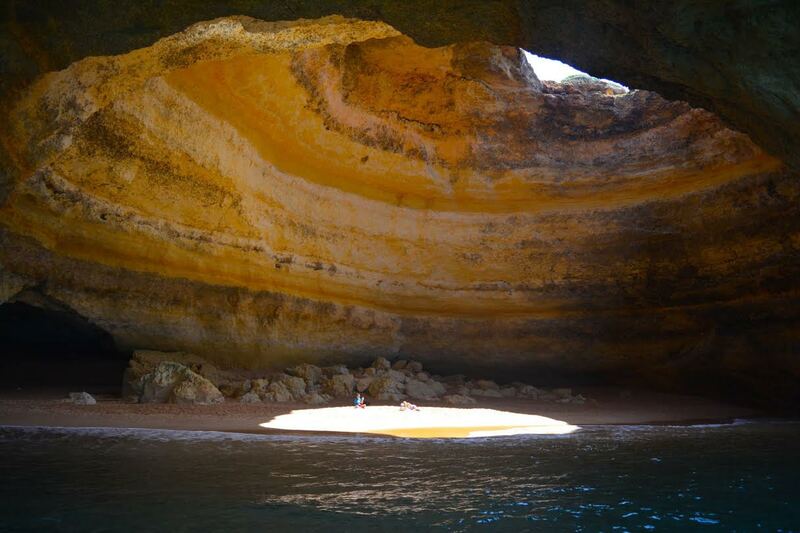 Visiting the caves along the breathtaking cliffs is a must, especially the Benagil Sea Cave. You also have to spend a day walking along the Seven Hanging Valleys hike. The hike follows along the coastline where you enjoy a panoramic views of all the rock formations. The best part is the hike takes you to many small secluded beaches where you can take a quick dip in the clear blue waters. 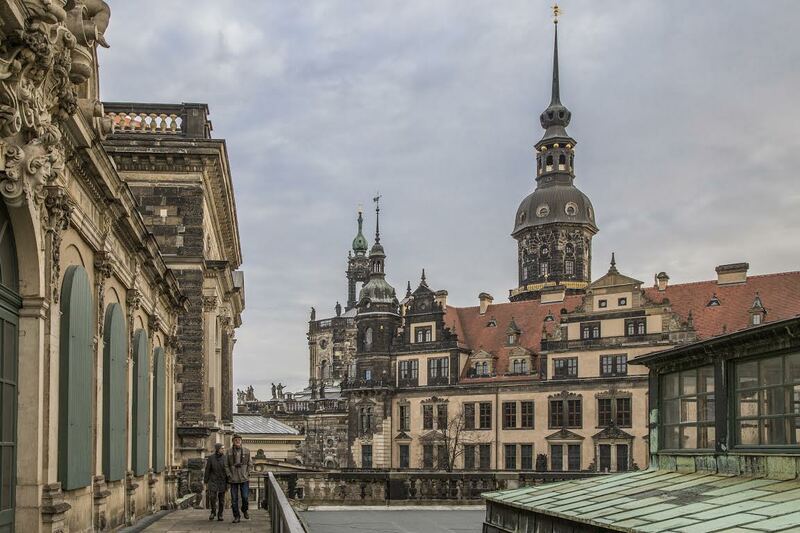 Located on the banks of Elbe river, Dresden is also often referred to as the Baroque capital of the world. The city was almost completely destroyed during the second world war, but in the following years it rose up like a phoenix from the ashes to reclaim it’s status as architecturally one of the most beautiful cities of Germany. It’s a heaven for those who love architecture, and the city is full of marvels like Zwinger Palace, Dresden Castle, and the recently reconstructed Frauenkirche. During the festival months, the city’s numerous Christmas markets make it a must-visit for all families. However, the city is not just history, heritage and culture. Neustadt on the other side of the river is where the coolest pubs, clubs and eateries are located. And if love street art, there is something special waiting for you there. While in Dresden, you will never need a car as the city is extremely well connected with a network of buses and trams. However, walking is actually the best way to explore Dresden and discover it’s hidden wonders. Genoa is one of the most fascinating cities in Europe. Spread between mountains and sea, it’s a city full of history and amazing spots. It can be defined as a “hidden gem”, since it is not as famous as other Italian cities. It has one of the largest historical city centers in the whole Europe, full of medieval sights and continuous discoveries. A big part of the old town of Genoa was inscribed on the World Heritage List (UNESCO) in 2006. The old town is known for its typical alleys where you can find authentic artisan shops and art galleries. There are also plenty of small churches, nestled between the old buildings, that create an awesome atmosphere. In the Old Port you will find the Aquarium of Genoa. The world-class aquarium deserves a special mention: It’s the second largest aquarium in Europe and the 9th in the world. It includes shark and dolphin tanks, together with turtles, seals, penguins, jellyfish, and thousands of tropical fish. 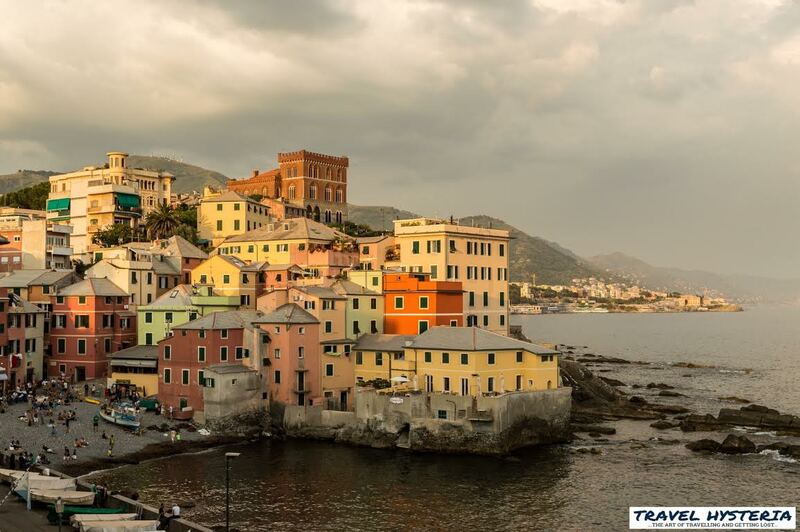 Our favourite place in Genoa is Boccadasse. Founded around the year AD 1000, it is an old mariners’ neighborhood. It’s the typical Ligurian old village, made of brightly colored houses, narrow alleyways, a small beach and boats everywhere. Once here, grab a drink and a generous serving of fresh fried seafood at a local shop. Then go to the beach and enjoy the best aperitivo you could ever have! Follow them on Facebook and instagram as well. My pick for 2017 travel destination is Hong Kong. 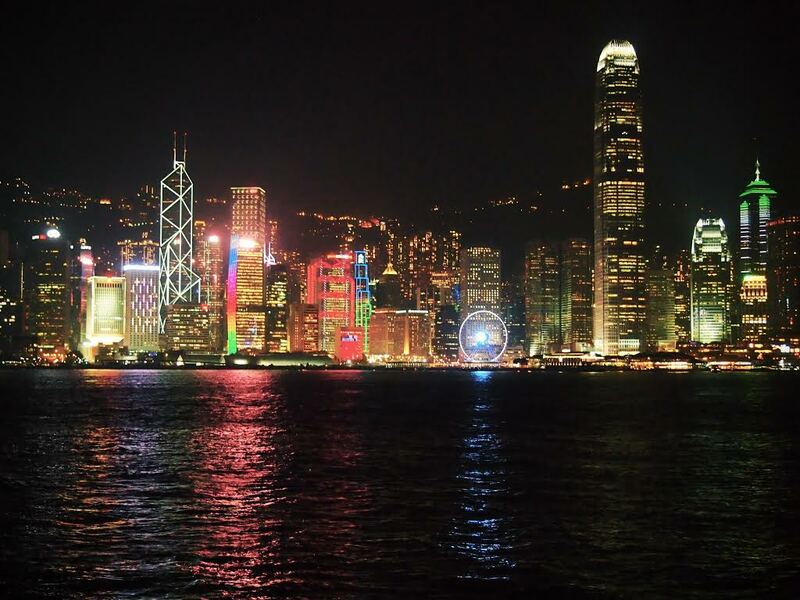 I went to Hong Kong in March for a few days, and it was the perfect place to start my first trip to Asia. To start on a practical note Hong Kong is easy to navigate. The MTR (subway) is the best I’ve seen. There are English signs everywhere (and it’s spoken by many people here as well). There’s lots of delicious food everywhere, and while you could spend a lot dining out here you don’t have to. Plus there’s so much to do in Hong Kong. The place that made me fall in Love with this city was stumbling across the Avenue of the Comic Stars in Kowloon Park. These are statues of characters from Hong Kong comics. If a statue of a giant penguin with a camera doesn’t make you happy then I don’t know what will. I also loved wandering through the locals markets. Seeing all the different Buddha statues at the Ten Thousand Buddhas Monastery. Taking the cable car up to the Tian Tan Buddha on Lantau Island. And the skyline is amazing. During the day you can get great views by taking the Star Ferry. At night watch the light show on Hong Kong Island from the waterfront at Kowloon. I definitely encourage you to visit Hong Kong in 2017. Great list, Lori! Would love to visit all these awesome places next year! Each one of the destination is truly inviting. Given a choice I would sure love to visit Africa for some wildlife photography as soon as possible. It was so much fun contributing to this post. All of these destinations look amazing. There are a lot of great places to travel to in 2017. Hmmmm,I wonder where I want to travel in 2017. I better start thinking about that. Wow, I’ve been to exactly one of these places (Alicante City and Denia in Costa Blanca, and all I did was go to the beach)! 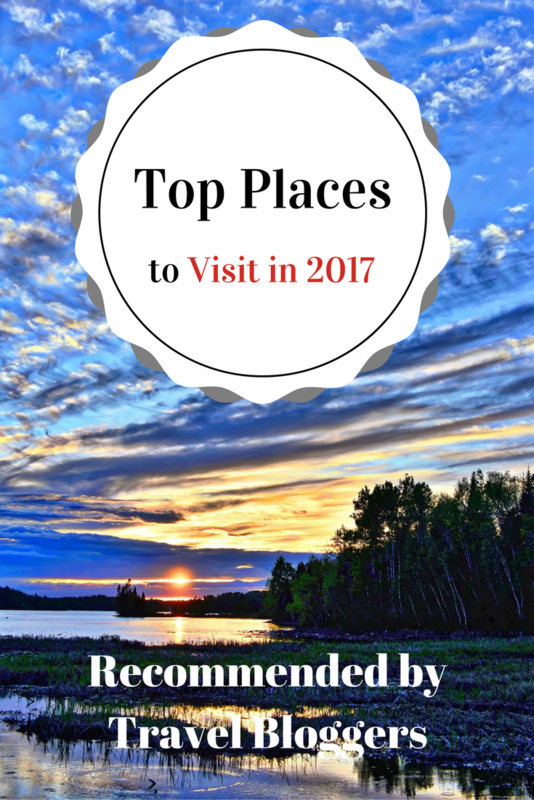 I’d hoped that I would have been to more but now I have plenty of places to add to my list for 2017. They all look so spectacular! These all look like great destinations! We have done mostly Asia travel so I am most intrigued by some of the European locations as well as Canada and Alaska! Also, the Seychelles are high on my radar! Great collection! I’d love to visit the Seychelles and Slovenia – and i’m pumped that I got to spend 3 weeks in Namibia this year – it seems to be appearing on a lot of ‘top destinations’ lists at the moment! These are such great choice! Can personally second Seoul, Siem Reap, + Halong Bay! Might need to start tracking cheap flights to Alaska. And I kick myself every time I see somewhere interesting in Spain! I lived there for 4 months and traveled a lot throughout, and STILL am missing so many places. Wow good to know I’ve been to most of these and true enough, they are must visits. You should definitely go to El NIdo, I’ve been twice and its been great. You will love it . Slovenia sure is a hot spot. Folks need to visit Sonoma, too! I second that Slovenia and Portugal (not just the Algarve) are great places to visit! From the list, the top place on my wish list is Namibia. Would love to go there! Happy to read Canada, my home country, made the list! It truly is beautiful and as mentioned all national parks will be free in 2017. So many others in the list are on my bucket list. Will definitely head to El Nido soon! I am going to agree with a lot of these. I hope to get to some of them in the new year myself. Great to see some of the amazing places we have been on here, as well as some of the places I have plans to go to go to! Will be traveling to Namibia later this week so this was inspiring to see! 🇨🇦 Woohoo! Oh Canada represent. I couldn’t agree more as Canada is such a beautiful place. Only lately I started really exploring my own backyard. Great list. Alaska is amazing!!! We were there over Labor Day and can’t wait to go back. We are hoping to spend quite a bit of time in Canada in 2017 to take advantage of the free admission into the national parks. But there are so many amazing destinations to choose from here. Canada is my number one travel destination, I’ve been saving for it for a while! One day soon, until then I will just keep obsessively reading posts like this for inspiration. 0:19 aggressive grunts and screams is all he can do to defend himself and make peopel leave him alone. Dubai Desert Safari – pre book the most popular Dubai tour which includes dune bashing, dinner and entertainment. Book with other Dubai tours and save! Good day! I could have sworn I ve been to this site before but after browsing through some of the post I realized it s new to me. Anyways, I m definitely happy I found it and I ll be bookmarking and checking back often! will need to…HaHa). You definitely put a brand new spin on a topic which has been written about for decades. Is it not enjoyable if we constantly discuss subjects like this.